More than a dozen churches are coming together with Lakeshore Habitat for Humanity to build a home for a family in need. 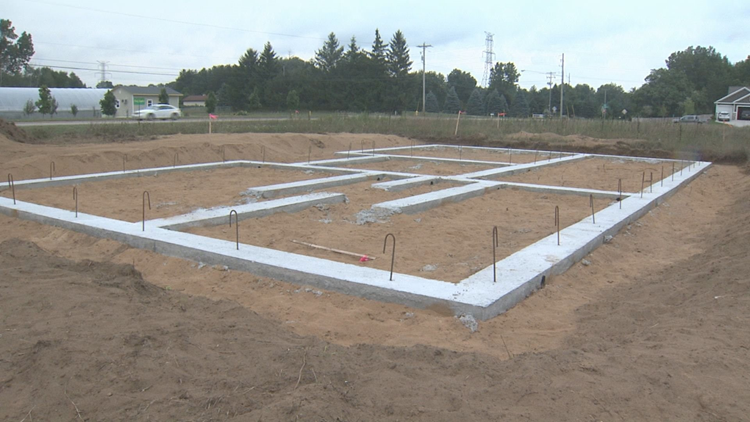 HUDSONVILLE, Mich. - One lakeshore family will be getting a new home soon. Lakeshore Habitat for Humanity is breaking ground on its 149th Habitat home. This build however, is a little different than a typical Habitat for Humanity home -- 15 churches from the Classis Georgetown have partnered with Lakeshore Habitat for Humanity for a "Unity Build" and will be helping the family out. "A lot of people have come together to make this happen" says Volunteer and Outreach Coordinator Travis Steinhoff. "It's remarkable to see everybody rallying around this project. It's our first time building in Georgetown Township and to see this level of support from the community is something special." The family of three live in a cramped apartment that consumes a large portion of their monthly income and say they don't feel safe in their current living situation. Their new home will be built on the southeast corner of 48th and Baldwin and is scheduled to begin at the end of August. The official Build Commencement Celebration will take place on Tuesday, August 21 at 6 p.m. on the build site at 4782 Baldwin St. in Hudsonville, and is open to the public. To learn more about the kickoff event or to sign up to volunteer, contact Travis Steinhoff via phone at 616-393-8001 ext.103 or email at volunteer@lakeshorehabitat.org.